Well here it is, the fasted damn thing to ever roll out of Detroit and onto the strip! Everything you can say about this Demon has been said so I won’t bore you. The car and its crate are here and ready to go! The world’s fastest production vehicle 0-60mph time. Posting a satanically fast time of just 2.3 seconds – with rollout that time sinks to 2.1 seconds – it is faster than a Bugatti Chiron (2.4secs) and the Tesla P100D with Ludicrous Plus (2.3 and a little bit). And that’s with the Demon being rear-wheel drive only compared with those two cars’ all-wheel drive platforms. The world’s fastest-ever production car over the quarter mile. Ready for this time? 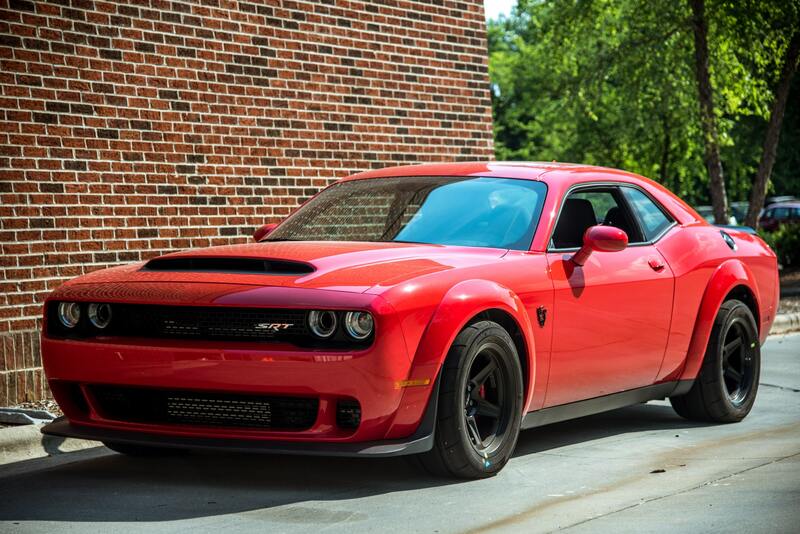 The Dodge Demon trips the lights at an insanely fast 9.65 seconds and on to a top speed of 140mph. You want a comparo? The latest ultra cars from McLaren, Porsche, and Ferrari can manage ‘only’ 9.8 seconds. The Chiron might ultimately beat it when it finally appears. But for now the Demon is the king of the quarter mile. The highest production car acceleration G-force. You can’t achieve the above feats without some physics happening. And the Demon is no different. Consider for a second what 1.8G of acceleration in the Demon feels like. Yeah, exactly. Been banned by the National Hot Rod Association (NHRA) from any of its member tracks. Quite simply, for being too fast.